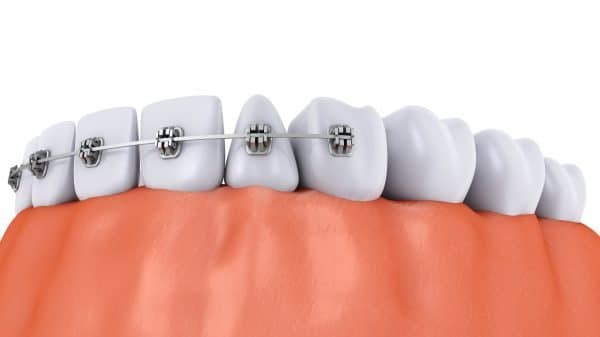 For people who have dental implants but still need some orthodontic treatment, one of the natural concerns is whether implants are compatible with braces. The answer is both yes and no, depending on your situation. First, let’s take a look at what dental implants are and then discuss how they might affect your orthodontic treatment. Dental implants are designed to replace teeth that have been lost due to injury or decay. 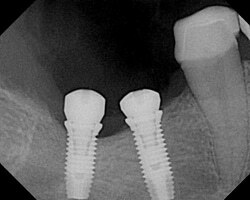 The implants consist of a titanium post, which the dentist inserts into the jaw to replace the missing tooth. He then attaches a prosthetic crown — the visible part of the tooth — which functions like a regular tooth. In fact, dental implants also look and feel just like regular teeth. Over time, you may forget that it’s not one of your own. And because dental implants blend in so well with the rest of your teeth (and can be colored to match), no one will be able to tell that you have an implant. Whenever implant placement occurs, it is likely to take place in an outpatient setting. The procedure typically takes a few hours and is done by a dentist, periodontist or oral surgeon. Most of the time the area is numbed and the patient does not need to be sedated. A dental professional will give you specific instructions on how to prepare for the procedure, and on caring for the teeth afterward to avoid any possible complications. Can I Get Braces If I Am Missing Teeth? If a patient is missing teeth, orthodontists have a couple of options. In some cases, it may be possible to use braces to simply close the gap created by the missing tooth. This may be an excellent option for patients who are already dealing with overcrowding. If the missing tooth needs to be replaced, braces may be applied with a deliberate space reserved for a restoration in the future. If the space isn’t wide enough for a restoration, braces can widen the space so there’s plenty of room for an implant. If there’s already space available for a dental restoration, braces can hold that area open so surrounding teeth don’t move into it. If you need both orthodontics and dental implants then it is usually recommended to have braces fitted first. This is because once an implant is placed, it cannot move like a regular tooth. The implant is fixed into the jaw and does not contain ligaments that allow for tooth realignment. For many patients, orthodontic treatment may be needed to create enough space for the new tooth and to move the roots of the neighboring teeth into the correct positions. However, it may sometimes make more sense to place the dental implant before orthodontic treatment begins. If the teeth surrounding the implant are not targeted for orthodontic treatment, then it is fine to go ahead and place the implant prior to braces. Additionally, if the dental implant needs to serve as an anchor point so that the appropriate forces can be applied to reposition the other teeth, the patient would likely get the implant before the braces are put on. As we age our teeth naturally crowd more toward the front of the mouth. This means that the implant (which, remember, cannot move) may begin to look out of place over time. If the implant is positioned appropriately compared to the other teeth, braces can be used to move the teeth around it. If your implant isn’t in the best position, then it will look out of place once the rest of your teeth are aligned. In that case there is a decision to make. You either can elect to have a slightly less than perfect smile, or to remove the implant, receive the orthodontic treatment, and replace the implant after the braces are removed. Implants, because of their durability, can be used to accelerate or improve the effectiveness of orthodontic treatment by acting as anchors for orthodontic appliances. In this instance, the appliance will be fitted to the post of the implant and will be removed and replaced with a natural-looking dental crown when treatment is complete. Temporary Anchorage Devices, or TADs, are small titanium anchors used to help achieve quicker, more efficient tooth movement that is as comfortable as possible for the patient. TADs are typically used in addition to braces, and sometimes can serve as an alternative to wearing headgear. The tiny screws are placed shallowly on the outside part of the jaw in between your teeth. TADS can help move teeth that are not moving well, or have to be moved in a difficult direction. As the name implies, they’re temporary — they usually remain in place during several months of treatment and are then removed. Their function is to provide a fixed point of stability around which the other teeth can move. A conversation with our experts at Orthodontic Associates can get the ball rolling in the right direction. 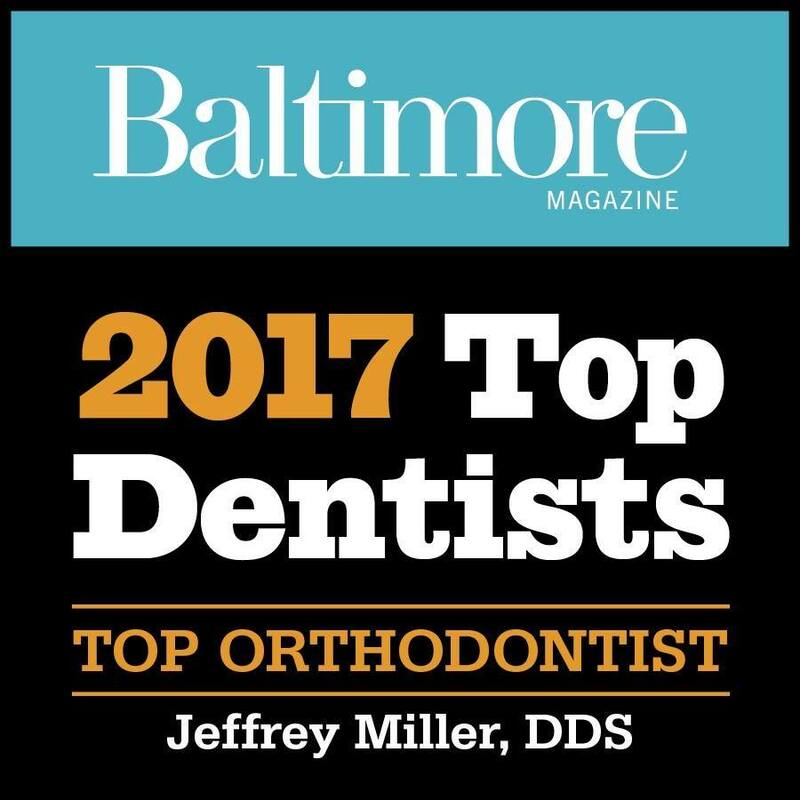 Our staff at all nine of our convenient locations around Baltimore can assess your unique situation and advise on when braces, implants or both would be most appropriate. Contact us today to set up your initial consultation. We look forward to making you smile. Corrective Jaw Surgery and Braces: Who Needs It and How Is It Done?